Few stars shined brighter in the Harlem Renaissance firmament than Zora Neale Hurston and Langston Hughes. On the surface they seemed to have little in common: She was the folksy anthropologist, novelist and playwright with a down-home style reflecting her Southern roots. He was an urbane poet. But they shared the same literary mission: to capture the black vernacular on page as a means of reflecting the complexity of the black experience. They were fast friends. Until their beef, which proved unsquashable. Their bond and its fracture is the subject of Yuval Taylor’s new book Zora and Langston: A Story of Friendship and Betrayal. Taylor sticks to this particular schism, but it’s hard to read about Hurston and Hughes’ conflict without thinking about other examples of cultural beef, from hip-hop to sports. The break between Hurston and Hughes is an age-old story, defined by driving ambition, hunger for credit and jealousy. Other parties were very much involved, from Charlotte Osgood Mason, the elderly white New York doyenne who opened her checkbook for and lavished praise upon writers who fed her infatuation with black primitivism (more on this shortly) to Louise Thompson, a typist who grew close to Hughes, much to Hurston’s chagrin. Hurston and Hughes were never romantically involved, but they shared a powerful emotional bond that Hurston guarded fiercely. 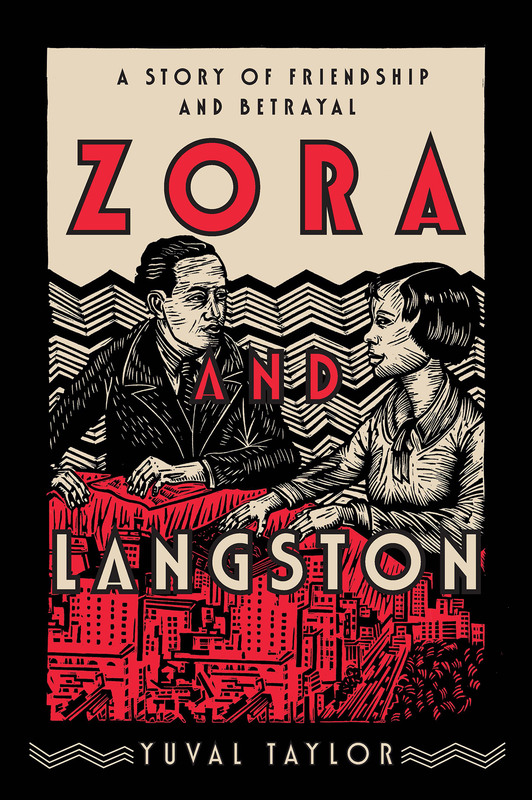 Zora and Langston book cover. More important was what Thompson was typing. Hughes and Hurston had long dreamed of collaborating on a folk play, Mule Bone, which, as Taylor writes, “seemed to draw on all of Zora’s strengths and few of Langston’s.” They worked on the play together and apart and with Thompson. She came to think of it as her play. He came to think of it as his. They each had versions copyrighted. They both sought legal recourse. It was a messy dispute that led to both a creative rupture and a death blow to their friendship. The play itself wasn’t staged until 1991, long after both principals had passed away. Notorious B.I.G., of course, knew about beef. His disputes lived on vinyl, where rappers had made sport of dissing each other for years. LL Cool J made his name largely by taking on other rappers: Kool Moe Dee, Ice-T and too many others to count. There may have been genuine animosity in some beefs, but for the most part they were artistic jousts, provoked when someone said something on some stuff, or when one artist committed the sin of biting another’s style. The beef between rappers Tupac Shakur (left) and The Notorious B.I.G. (right) was no mere creative dispute. It was a lethal feud that exploded into murder before anyone could really register what was happening. But by the time Notorious B.I.G. hit his peak, a larger and more serious beef had taken hold. His beloved East Coast hip-hop scene — or at least his label, Bad Boy — was engaged in a protracted verbal war with the West Coast and Tupac Shakur. 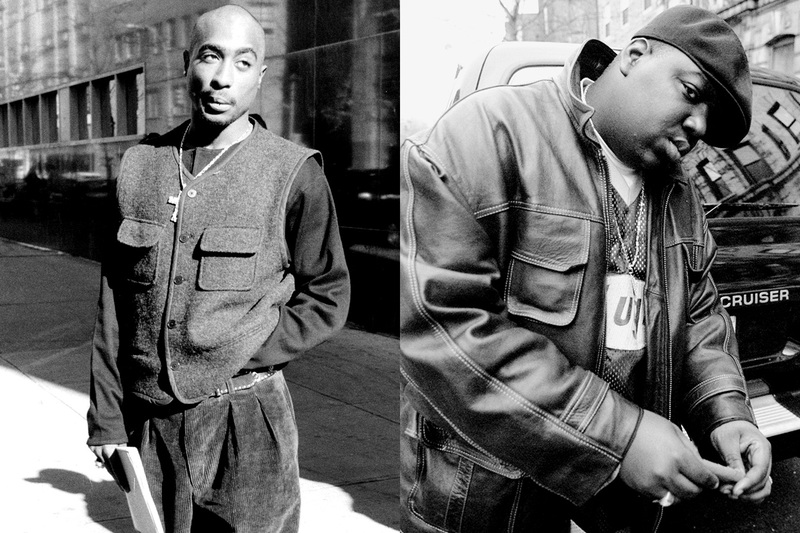 Tupac and Biggie, like Zora and Langston, had been friends. But this falling-out was different from that bitter literary feud, and even from previous hip-hop beefs. It involved bullets, first when Shakur was shot in New York and blamed Biggie’s crew, then when Tupac was shot and killed in Las Vegas, and finally when Biggie met the same fate the following year in Los Angeles. This was no mere creative dispute. It was a lethal feud that exploded into murder before anyone could really register what was happening. Her nickname was Godmother. “If one split that word into its constituent parts,” Taylor writes, “and joined them with an ampersand, it would describe well how her acolytes regarded her.” Hurston referred to her as “My Mother-God and her “true conceptual mother — not a biological accident.” Accustomed to such devotion, Godmother was also used to getting what she wanted. What she didn’t want was her two star scholars writing a play together. She opened her checkbook for Hughes to write novels and poetry and for Hurston to collect folklore. She saw the playwriting business as an unnecessary distraction from her mission. Unfortunately for Godmother, Hughes and Hurston really wanted to write their play, and the more Mason objected, the more determined the two writers became. Godmother also sowed competition between the two by signing them to different contracts, allowing Hughes to keep the rights to his work while Hurston had to sign over her folklore to Mason. Godmother even prevented Hurston from showing her research to anyone else without Godmother’s permission. On the one hand, as Taylor writes, “While Langston was being paid to create, Zora was being paid to collect.” To make matters worse, Hurston wasn’t allowed to keep what she collected. Is there any wonder Hurston envied Hughes’ deal, or that tensions between the two simmered, or that both sought to assert authorship over what was planned as a joint effort? NBA beef tends to be very public, largely because of the league’s popularity and also because the star players are rarely shy. When Kyrie Irving demands a trade because he doesn’t like his role on LeBron James’ team, the world is going to find out. 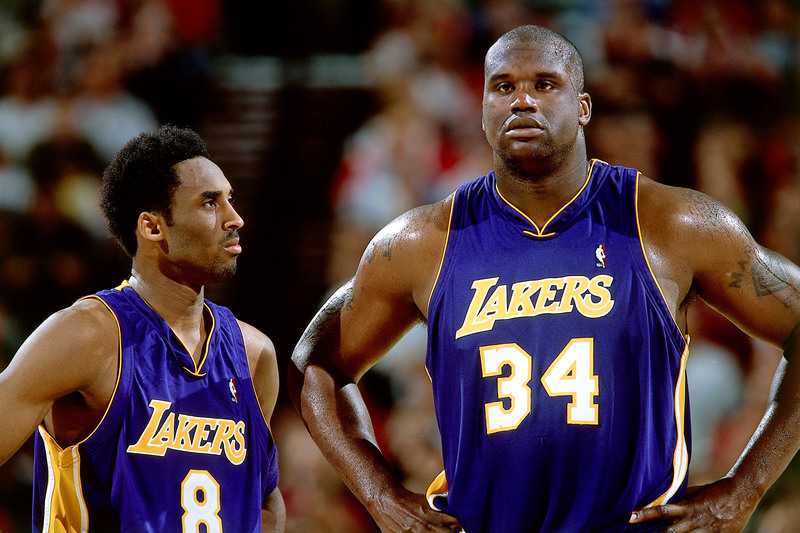 The defining NBA beef remains the one between Kobe Bryant (left) and Shaquille O’Neal (right), which effectively broke up the dynastic Los Angeles Lakers of the early 2000s. The defining NBA beef remains the one between Kobe Bryant and Shaquille O’Neal, which effectively broke up the dynastic Los Angeles Lakers of the early ’00s. O’Neal, the big dog, insisted on regular feeding down low. Bryant, the rising star, was a lot more interested in shooting than feeding. You had two superstars with vastly different styles, each convinced that his style was the best way forward. Their hunger for credit was as powerful as any felt by Hurston and Hughes. They won three straight NBA championships together, sniping much of the way. Eventually O’Neal was traded to Miami, where he won another championship alongside Dwyane Wade. Bryant won two more with the Lakers. After the trade, O’Neal referred to Bryant as a Corvette and to himself as a brick wall. O’Neal at one point tried to cast Lakers coach Phil Jackson in the Godmother role, blaming him for mismanaging the team and the beef. Unlike Hughes and Hurston, who lawyered up over the fate of their aborted collaboration, or Tupac and Biggie, who ended up dead, Shaq and Kobe, like most sports beefers, played out their battle on the court and in the media. They also de-escalated their feud in subsequent years, with each player taking turns playing the other. Sports can be an oasis of civilization compared with so many other fields of battle. It’s where beef, for all its sound and fury, can be just another part of the game.